After Luis Padilla accepted his award US Youth Soccer had another surprise for him and the other National Coach of the Year award winners. 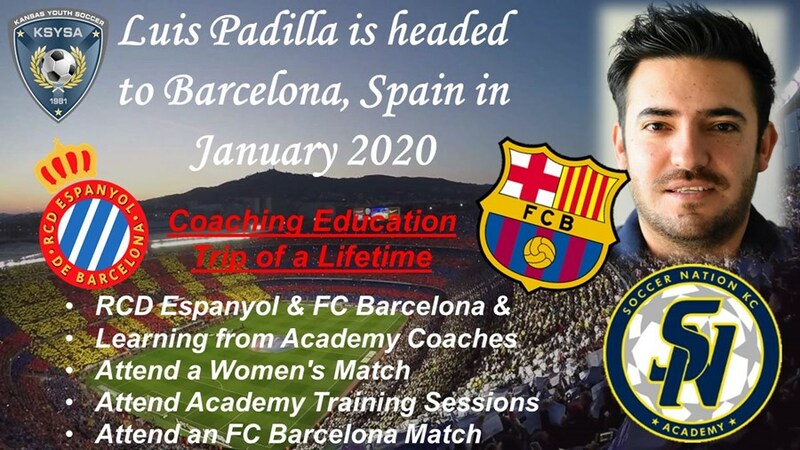 Luis and the rest of the Coaches would be awarded a Coaching Education trip to Barcelona, Spain in January of 2020 sponsored by Premier International Tours. This trip will include touring the facilities and watching the youth academy teams play at FC Barcelona and RCD Espanyola. They will be going to an FC Barcelona women’s game and an official FC Barcelona match at the Camp Nou. Click here to see the Surprise Trip Announcement! Congrats to Luis on this huge opportunity to improve as a coach and see one of the best teams in the world. Take plenty of pictures for us!